This is a rendering method I use regularly in 3Ds Max using Mental Ray (3Ds Max9 – 2017). It cuts down rendering time by a fairly good margin and gives you a nice clean look for animation. I'm using the Arch & Design (mi) material. I prefer the Pearl Finish template for everything just to get a slight blurred reflection on surfaces. Make sure Fast (interpolate) is enabled. Under Fast Glossy Interpolation drop-down, set Interpolation grid density to 1(same as rendering) and enable High detail distance. Under the Special Effects drop-down, enable Ambient Occlusion. I leave Samples at default (16) but higher value will give you less grain. The Max Distance will change depending on your scene but I tend to stay around 150 – 250. The Zenith Station scene used a Max Distance value of 250. That's it as far as the material. 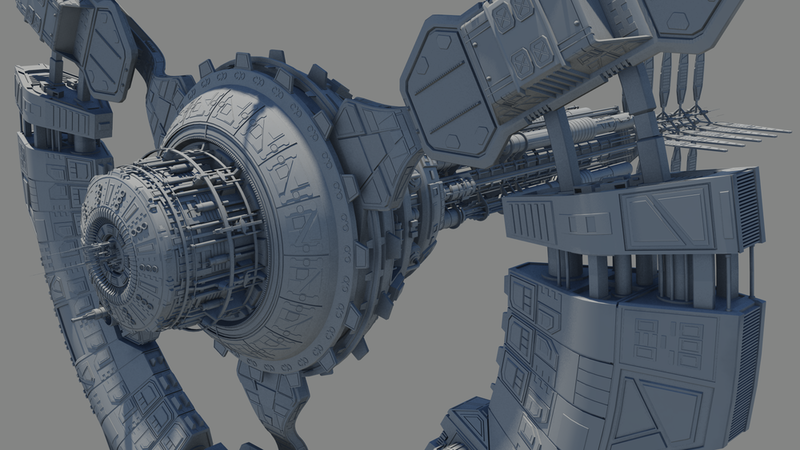 Now for the rendering settings. For this method I'm using Mental Ray. Under the Indirect Illumination tab I'm using the Draft Preset with Enable Final Gather check box enabled. Enable Use Falloff (Limits Ray Distance) check box. Set the start to 0 and the Stop to 0.01. The Falloff settings will disable any GI and final gather calculations from Mental ray while still keeping the ambient lighting. Everything else is default settings. Setup up your scene the way you want using your preferred daylight system and Physical Sky setup for the background. One con to this method is that it doesn’t take into account light bounce. In the image on the right you see the red tint on the ground coming from the red wall. 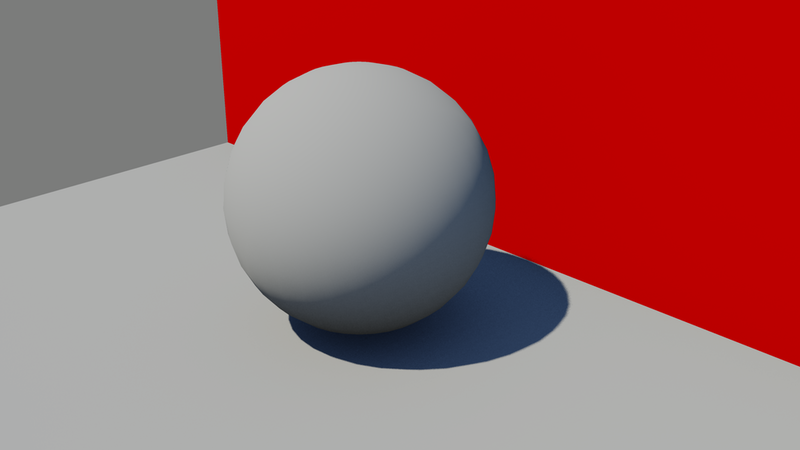 This method does not calculate light bounce as shown on the image on the left.